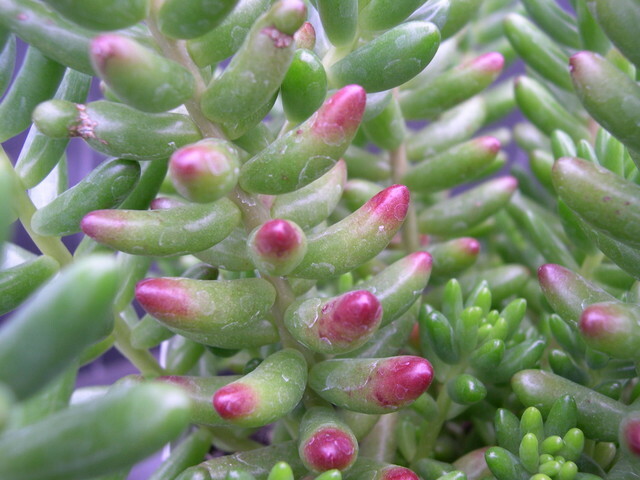 This is a dwarf form of the popular 'Jelly Bean Plant'. Leaves are smaller but still get the striking red coloration of its parent. Makes a good houseplant which can be set out on the deck in the sun when frost has passed.